Terminal is an interactive installation that has been created in collaboration with Chloé and the Scale collective for the Paris Musique Club. The installation will be shown from October 24, 2015 to January 31, 2016 at the Gaité Lyrique. The project transposes the musical elements and mobile interactions of the Chloé ⨉ Ircam concert into the situation of an exhibition. The installation features a looped 15-minutes 4-channel music track staged in a 7-meters corridor with 21 smartphones aligned along the wall and luminous lines running on the floor. 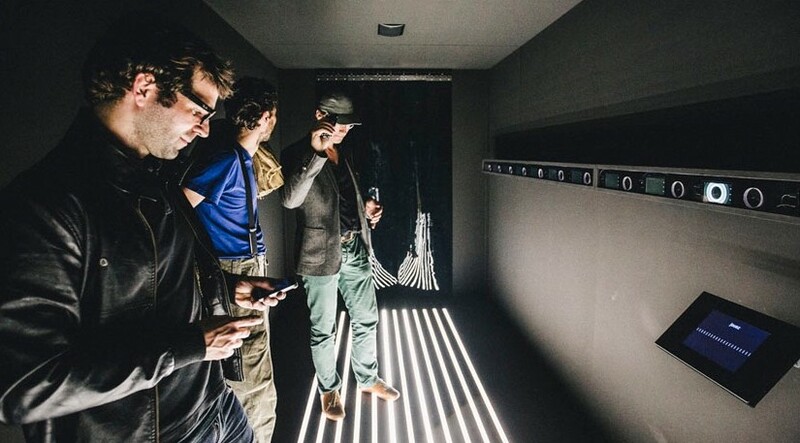 Similar as in the concert, visitors can connect to the installation with their mobile devices to participate. 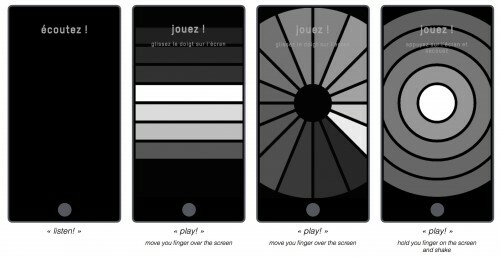 At given passages of the music track, the participants are invited to play sound with touch and motion interfaces that appear on their mobile device. The graphical animations and sound of their device are echoed by one of the smartphones on the wall. Every now and then, waves of sound textures appear on the participants’ mobile devices. In addition, visitors can use a wall-mounted tablet to distribute sound textures over the smartphones on the wall. The light on the floor reacts on the music as well as the visitors’ interactions with the tablet.